Madras Musings celebrated its 25th year and Fort St. George’s 375th year with a year-long series in 2015-16 titled Know Your Fort better. 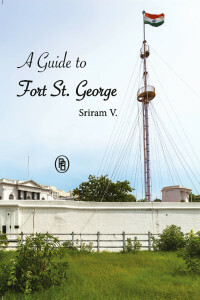 It was a fact-packed series by Sriram V of the Fort’s 30-plus major sites which has now been brought out as this guide by Palaniappa Brothers. A slim, easy to handle book, a visitor to the Fort can walk his/her way around the Fort with this alone as guide.